Prior to doing a lot of cooking there was only two kinds of salt that I knew about. The first, table salt, always came in the blue Morton’s Salt container. The second was rock salt that was either used to melt ice off the sidewalk or used in the making of homemade ice cream. When I started cooking quite a bit, I started seeing not just salt, but kosher salt. I assumed, like with other kosher items, that the salt was either blessed by a rabbi or was made in some fashion that corresponded with the rules of eating kosher. Guess what? I was wrong. Kosher salt is really “koshering salt” which means it is an acceptable ingredient to help make meat kosher by removing the surface blood. Like most brines, this recipe calls for salt. In this case, kosher salt. There it is along with all the other ingredients. Brining keeps the moisture and brings the flavor! Combine first 4 ingredients in a large bowl, stirring until the salt and sugar dissolve. Pour salt mixture into a 2-gallon zip-top plastic bag. Add ice and pork; seal. Refrigerate 3 hours, turning bag occasionally. Combine paprika and next 5 ingredients (paprika through garlic). Remove pork from bag, and discard brine. Pat pork dry with paper towels. 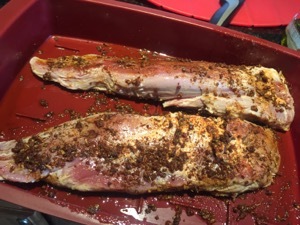 Brush oil evenly over pork; rub with paprika mixture. Place pork on grill rack coated with cooking spray over medium-high heat; grill pork 6 minutes, browning on all sides. 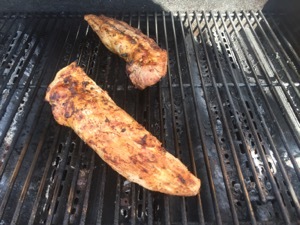 Place pork on grill rack over unheated side. Close lid, and grill pork an additional 20 minutes or until thermometer inserted into thickest portion of pork registers 155° (slightly pink), turning the pork occasionally. 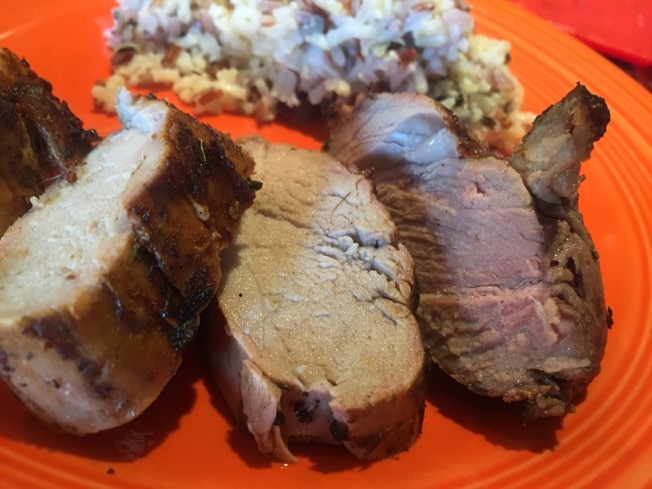 Place pork on a platter. Cover with foil, and let stand 5 minutes. 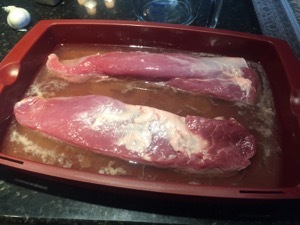 Uncover and drizzle pork with 2 teaspoons vinegar. 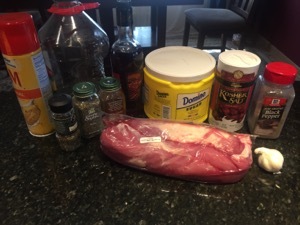 I have never brined meat before. Can’t wait to try this. 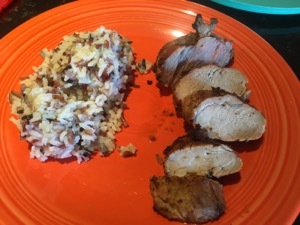 I have a pork loin in my freezer that this would be perfect for. Thank you for sharing this! As always a most informative and delightful post, beautiful recipe! Thank you so much!